Kashmir, oh Kashmir … I have quite mixed feelings about it. I certainly don’t share the common sentiment that most Indians reiterate, “Kashmir’s natural beauty is unique and people are simply amazing”. 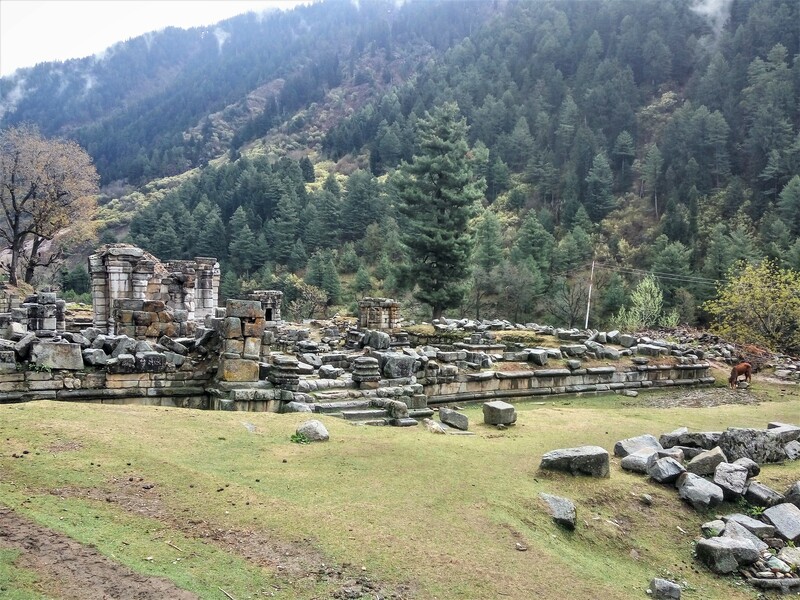 First things first though – let me tell you a few facts about Kashmir. It is in the north of India, in the Himalayas neighbouring Pakistan. Officially it is a part of India, in practice Kashmiri don’t have or want anything to do with India. Most of people want independence from India and seem quite worn-out by continuous military intervention. 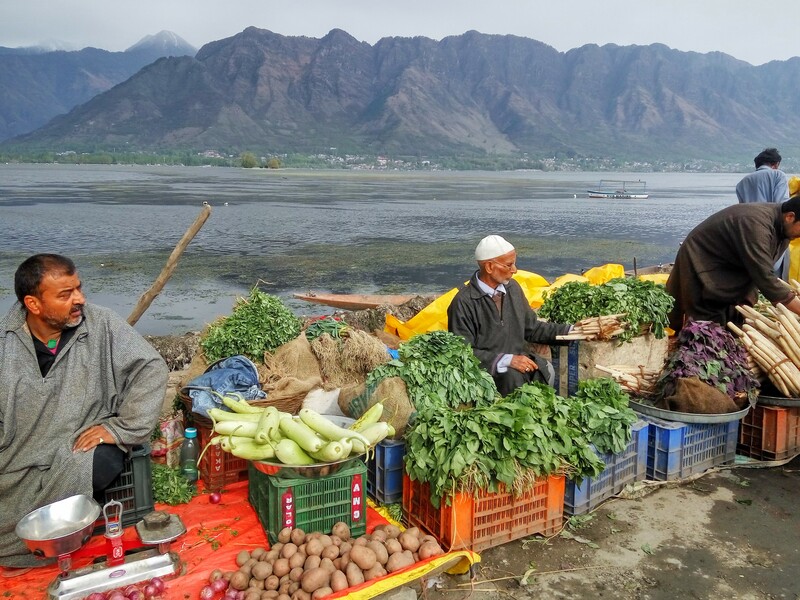 Kashmir is mainly a Muslim state, thus their culture really differs from the Indian. I could easily say I had visited an altogether different country. 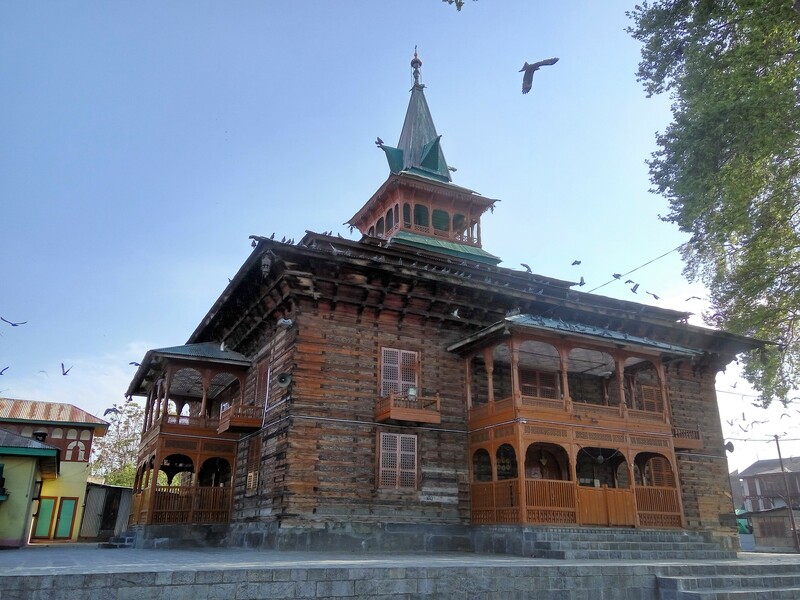 Since I have a profound experience living in a Muslim country (3 years in Turkey), daily habits and Kashmiri culture didn’t seem all that alien to me. On the contrary, it felt quite homey and made me miss Turkey. I also realized that I actually like interacting with Muslim communities. I am not sure how to better put the next observation in words but I guess I have gotta use this trendy term – empowered: women in Kashmir somehow seem more empowered than they do in India in general. I believe it is a good time now to mention the issue of safety. 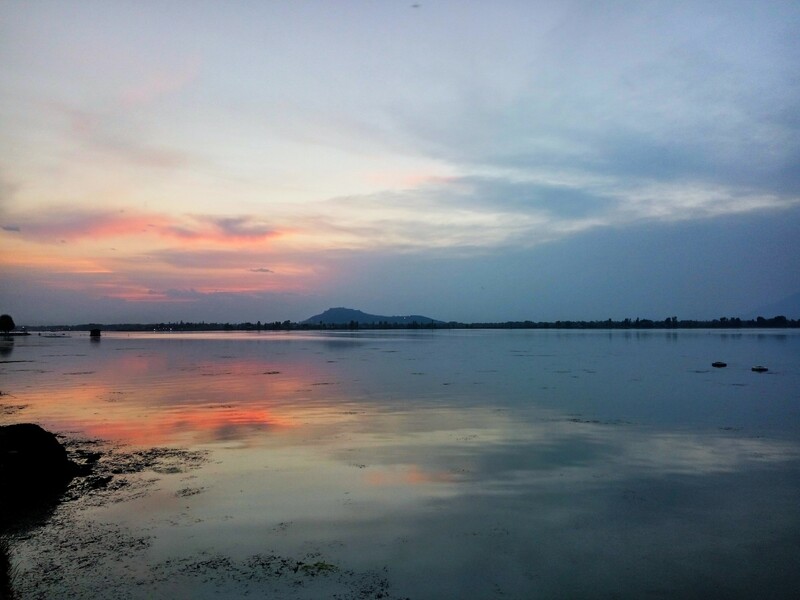 As a solo female traveler, not a single moment did I feel insecure or unsafe in Kashmir. 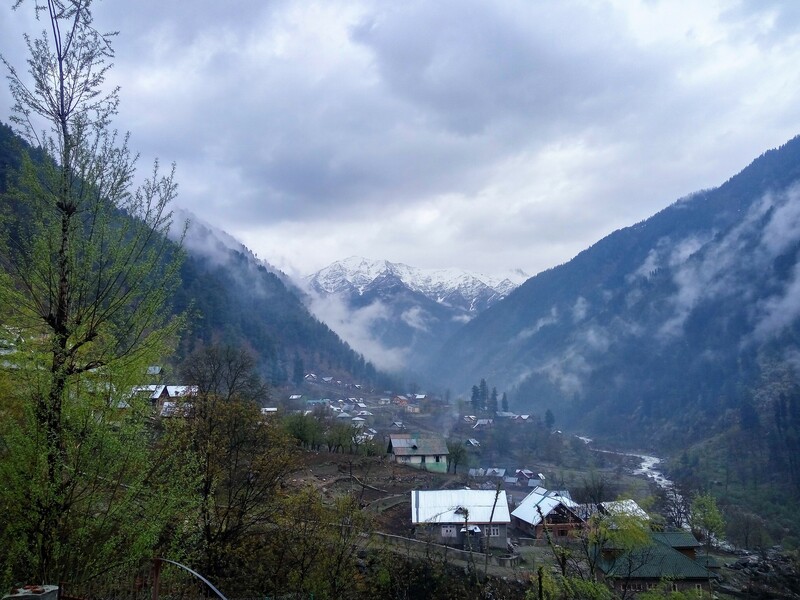 Girls, if you don’t mind being asked how you are doing and where you are from pretty much all the time, then there is nothing to worry about when setting on a solo travel to Kashmir. 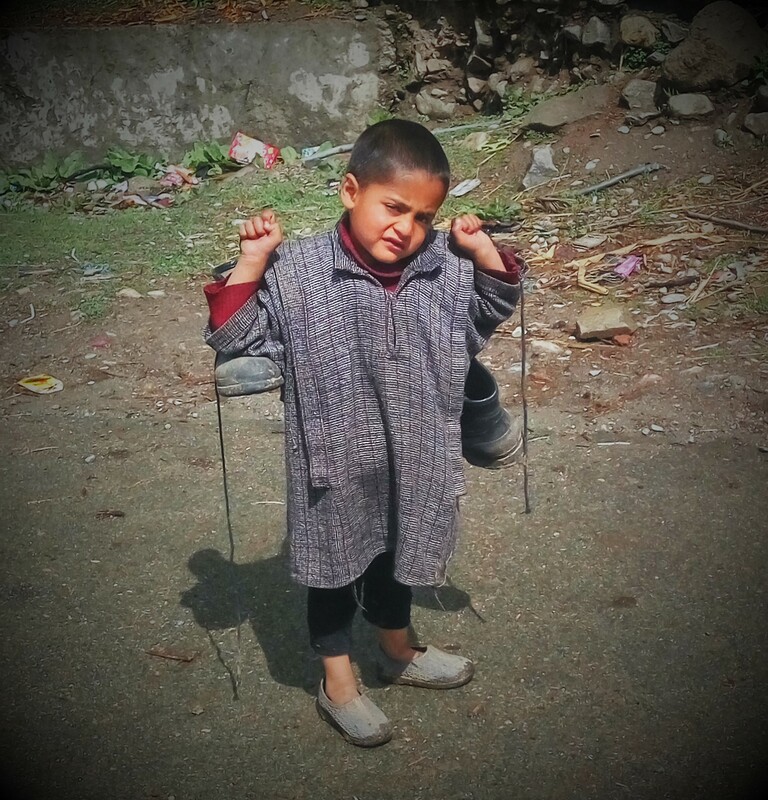 Personally, I came to Kashmir to explore its renowned culture and nature. 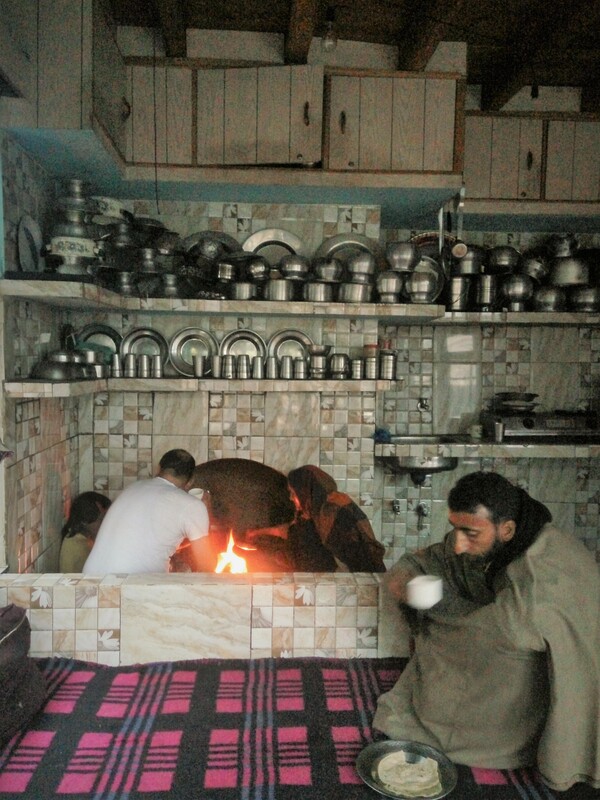 Everyone including Kashmiri themselves talk about their superb hospitality and kindness. 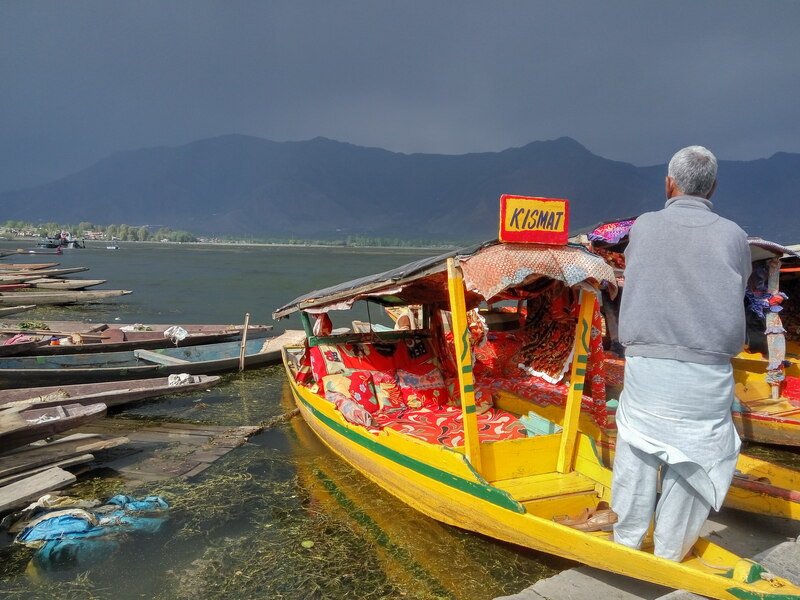 I started with Srinagar – Kashmiri’s capital and a place to experience staying on a houseboat. Indeed, Kashmiri are really welcoming. 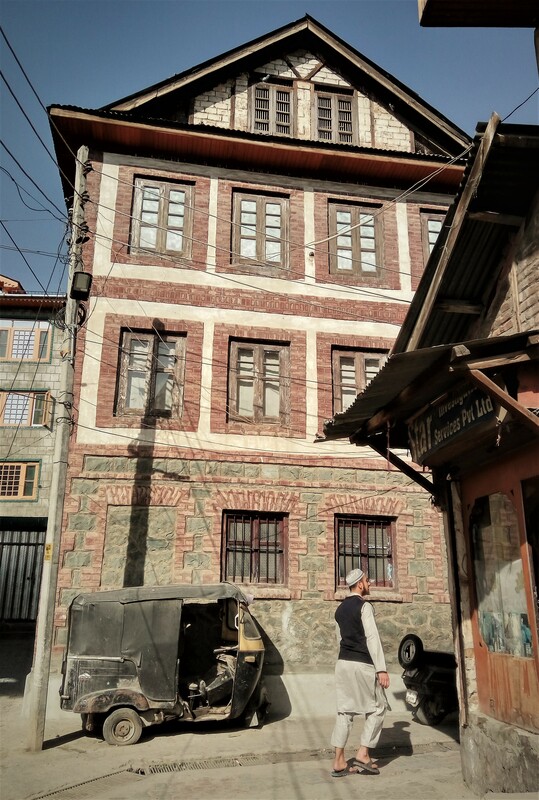 I had a lovely stay on a peaceful houseboat at Nigeen lake, and then I moved to a genuine homestay at the heart of the city. It was great, you know me with my optimism and default settings of mainly seeing the bright side. 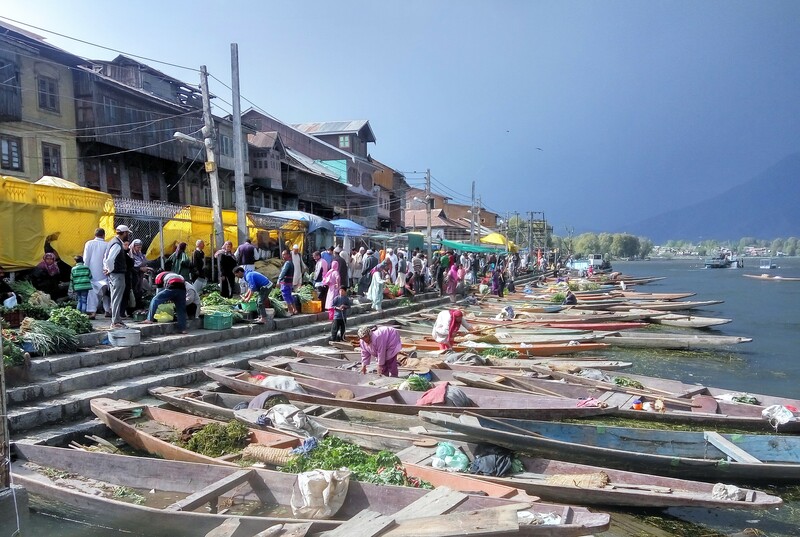 Yet yet yet… Kashmir is big on tourism, and every time behind the hospitality and kindness of the Kashmiri, I would found them looking for a way to make more money out of me. I get it that for many families tourism is the only way to make their living. But… Maybe because I have been fortunate (and thus, a bit spoilt) to experience unconditional hospitality in quite a few countries (Turkey, Georgia, Armenia, India), I cannot vouch for the Kashmiri to be the unbeatably hospitable lot. 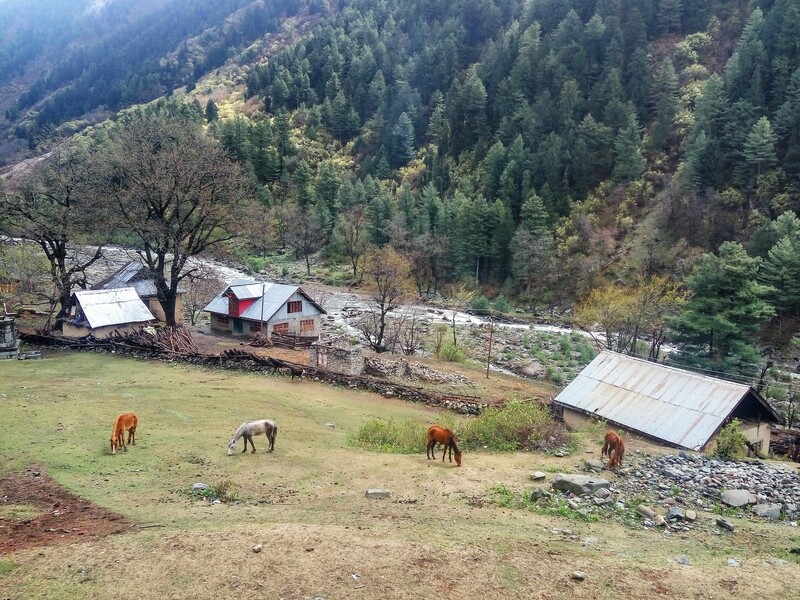 I spent a week in Kashmir and didn’t want to stay any longer. Fair enough, the weather was not on my side – it was raining for the most part of my stay there. But that is certainly not the reason why I didn’t want to linger any longer in Srinagar. 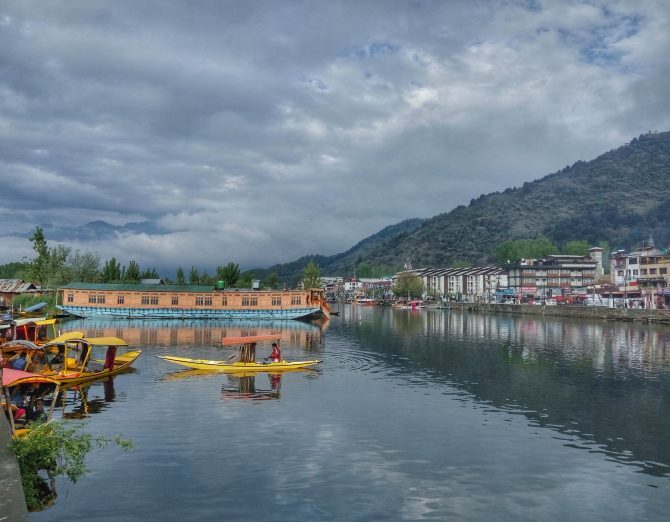 The main reason is persistent obtrusiveness with which hotel owners, tour guides, shop assistants, rickshaw and shikara (local boat) drivers were offering their services. I could not literally make a step without hearing continuous “Madam, need a room / boat, etc” Or when I was staying at a place (first houseboat, then home-stay), the hosts would be super nice, kind and hospitable yet quite insisting on me either ordering dinner necessarily from them or booking a trekking tour, boat or taxi through them. And when I was saying, “I am going on my own”, I would hear that it would be so difficult and bla-bla-bla… So I felt for the most part as a prey – a helpless rabbit thrown into the cage with starved-out predators. Seriously. I believe they could have been so pushy and intrusive because the tourist season had just started and they are really “hungry” after the winter. Nevertheless, I was lucky to encounter locals who weren’t into tourist business and those were genuinely kind and caring. 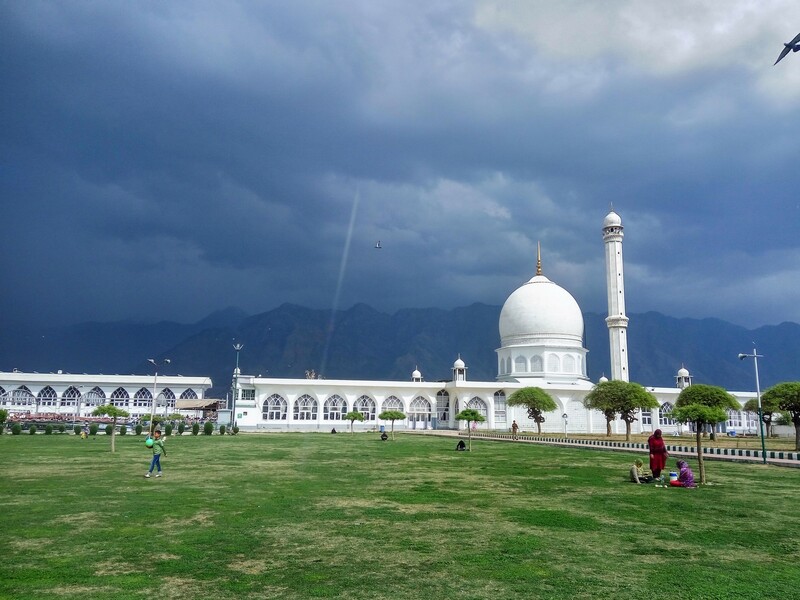 Do I want to visit Srinagar again? It is a flat “No”. 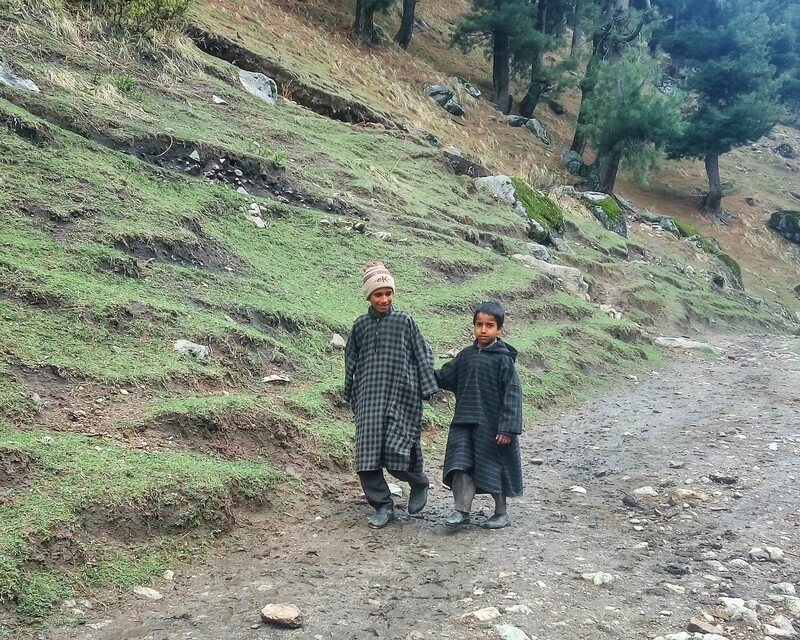 Would I like to see more of Kashmiri countryside and meet village people? Yes. 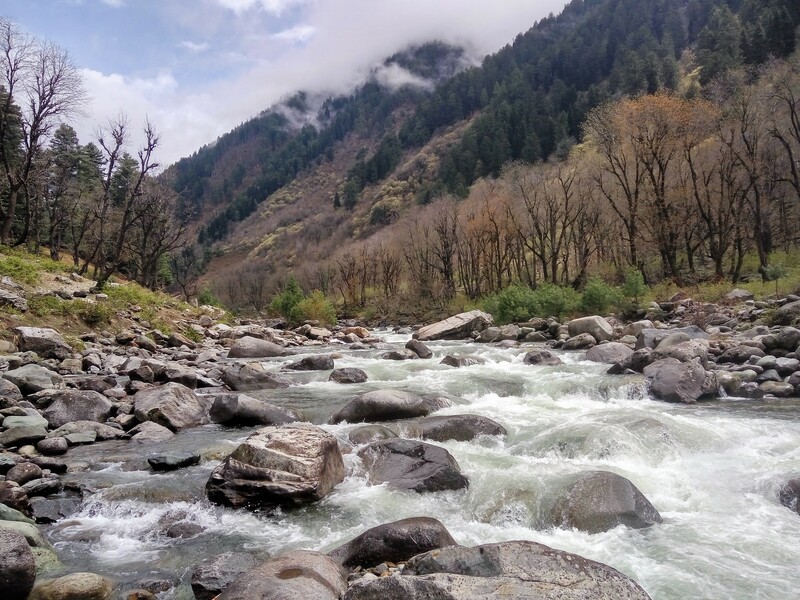 One should keep in mind though that the right season to explore Kashmiri countryside is in June and July unless you don’t mind trekking in cold or rain. 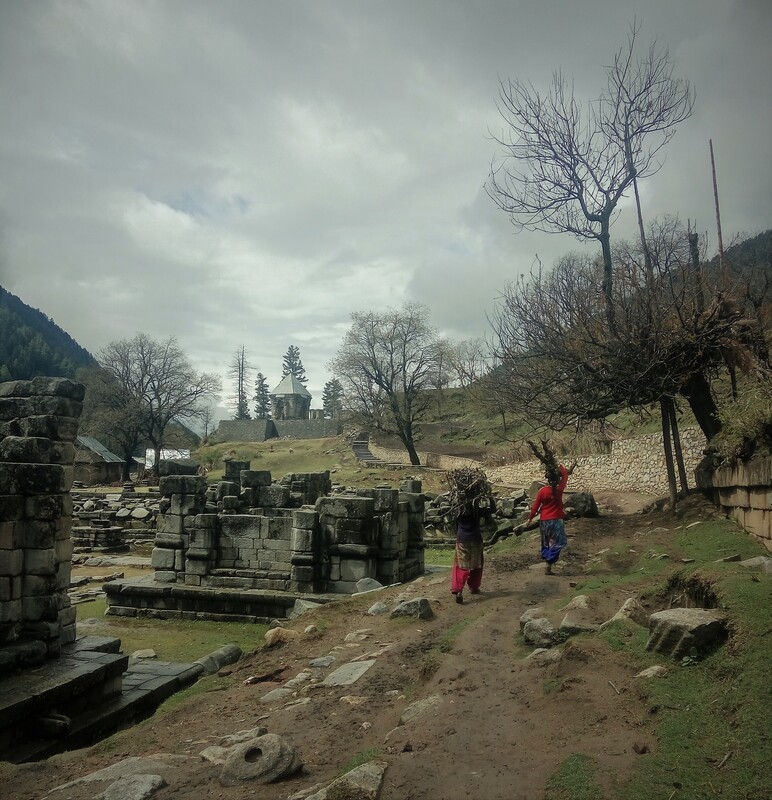 During my stay in Kashmir I also visited a small village of Naranag, which can still be considered off the beaten track but not for long, I guess: a lot of construction (mainly, guesthouses) is happening there. Naranag was definitely the highlight of Kashmir for me even though it was raining almost non-stop the 2 days that I stayed there. 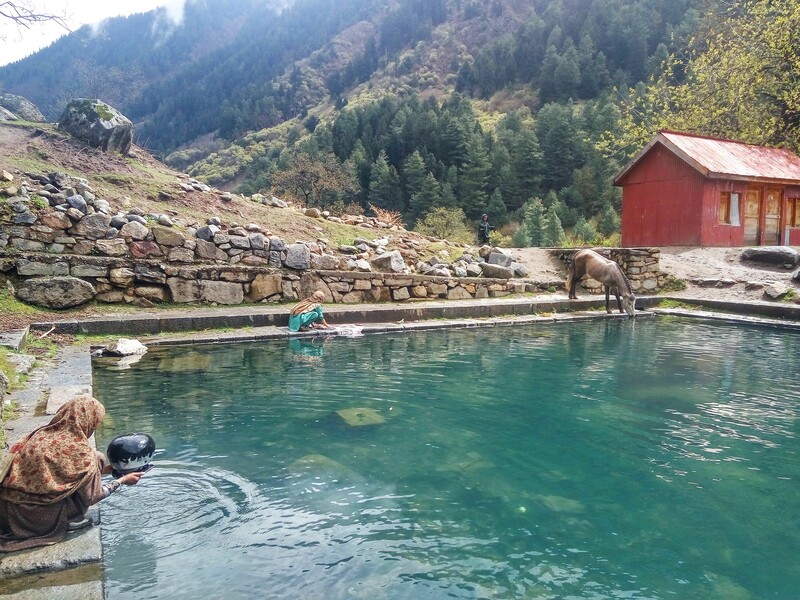 I didn’t do any trekking – just hiking around but it was exactly what I was after: untamed nature, friendly locals and a genuine home-stay experience. 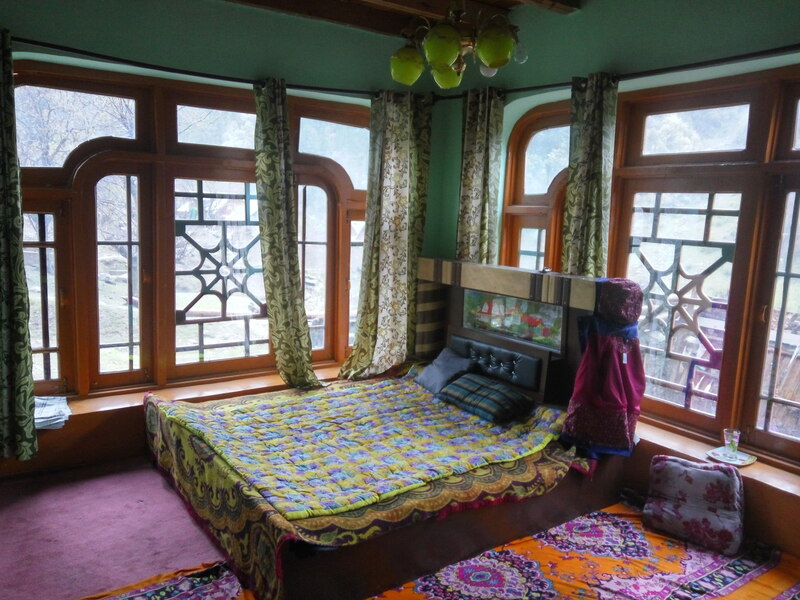 The home-stay that I was lucky to choose was simply amazing. 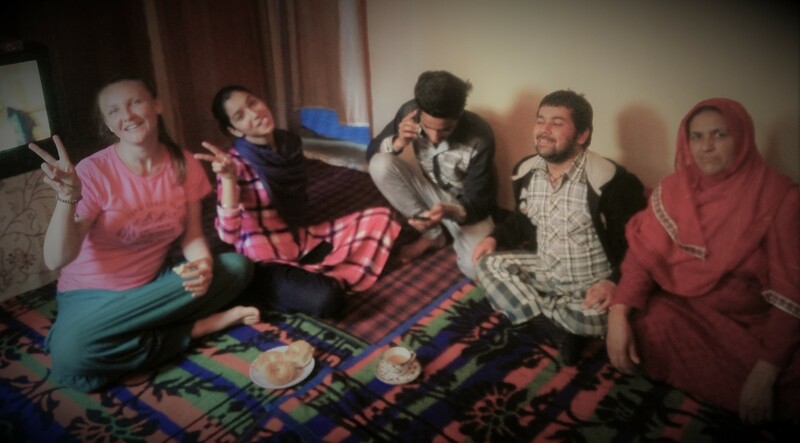 The hospitality and caring of the hosts were definitely more genuine than in Srinagar. The hosts were Umer and Niyaz, two brothers that used to be shepherds. As foreign hikers started coming to the area, they began guiding them in the mountains learning some basic English along the way. They are very simple people and that is exactly their beauty. You know, in Buddhism they say that every human being has a good nature by default: at heart everyone is good; it just so happens that people get somehow disconnected from their default goodness, they are not aware of it or maybe they get conditioned to ignore it. What I noticed is that in villages (regardless of the country) people are kinder and more content: their good nature is easily shining through whereas in cities one comes across so many stressed-out, aggressive or mean people. The logical question then arises in my mind, “Are the civilisation and highly-praised socio-technolgical advances to blame for that?” Yet another conclusion surfaces: nature helps one be more connected to their inner good nature. 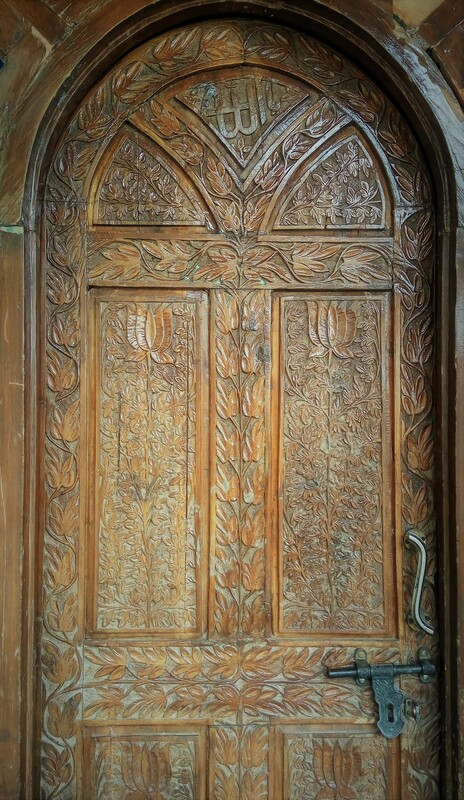 The house door, isn’t it simply a masterpiece? 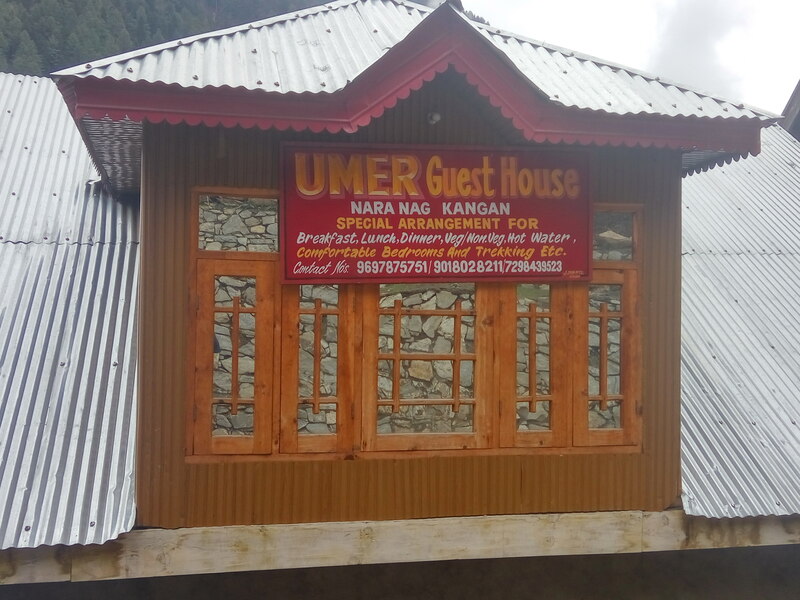 Anyways, lyricism aside, I highly recommend Umer Guesthouse for a home-stay in Naranag, which includes yummy home-made meals. Niayaz and his wife Mina were incredibly nice to me in a really simple sweet way. They don’t know how to use Internet; that’s why the only way to contact them is by phone. You can call any of these numbers and ask for Umer or Niyaz Nawaz (tel. 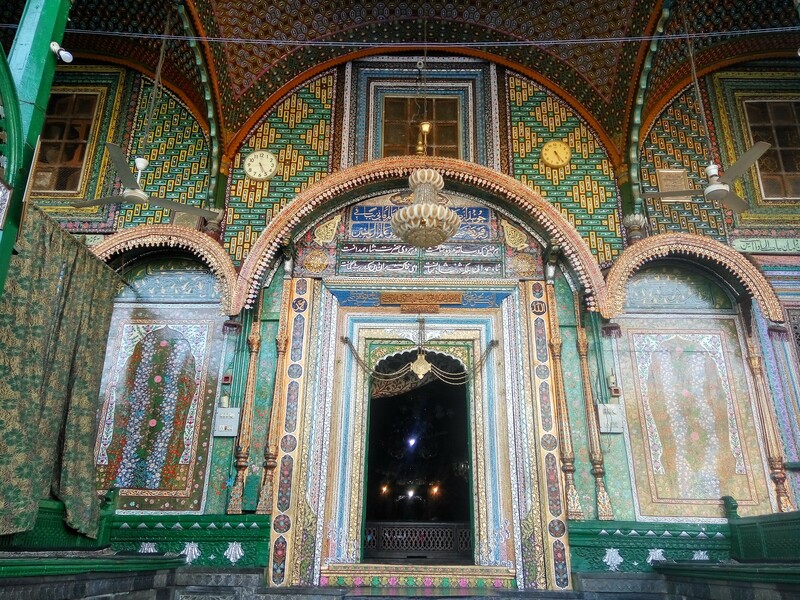 +919697663312). The best way to get to Naranag would be to take shared taxis (they are cheap): one from Srinagar to Kangan (public buses are also available but they are quite slow) and then from Kangan to Naranag (no buses on this route and you might have to wait a bit for a car to arrive and then fill with all the passengers – it won’t go unless all the seats are taken) Surprisingly, this remote village has some cultural heritage as well. You can read more about it here.